In a late act of holiday generosity, a U.S. appeals court tossed out a standing injunction along with a $203 million restitution order that Wells Fargo had been facing. A lower court’s had ruled against the the big bank during litigation over its policies in charging overdraft fees. The appeals court didn’t give it a full pass, though. It upheld one part of the ruling that found the bank violated unfair competition laws in California. It opted to toss the case back for trial in San Francisco so that it could be sorted out there. There are numerous class action lawsuits against Wells, but the California case is one of the largest. The details may vary slightly from one suit to the next, but they all revolve around allege unfair and illegal assessment and collection of excessive overdraft fees. Other accusations include the bank’s refusal to record charges and purchases on debit cards or cash withdrawals via ATMs in the order they actually occurred. Instead, it sorts the charges and purchases so that the largest charge or purchase is the first one paid by the bank. Lawyers have contended that the practice is intentionally designed to maximize overdraft fee revenue. In fact, banks made a staggering $38 billion in overdraft fees alone in 2009. And you can be sure this isn’t a lucky break; it’s a carefully designed method and once internal memos were entered into evidence, there was no denying just how methodical these bankers are. These cases have typically been moved from one court to another and eventually end up at the federal District Court for the Southern District of Florida in Miami, Florida. This is the only place in the nation where federal lawsuits against any kind of banking entity and it policies on overdraft fees are heard. 2010 was particularly challenging for the bank when a federal judge first ruled those NSF fees had been improperly assessed. U.S. District Court Judge William Alsup provided a near 100 page opinion explaining the violations. Most alarming were the references to the policies that, instead of posting each transaction chronologically, Wells Fargo paid or deducted the largest charges first. This, of course, dropped the account balance and began the process of racking up overdraft fees for checks made out for fewer dollars. The bank’s dominant, indeed sole, motive was to maximize the number of overdrafts and ‘squeeze as much as possible’ out of customers who spent more than they had in their accounts. If this sounds like some kind of fraud the bank was committing against its own customers, your thinking is right. In fact, it’s called “backdating” and it is most certainly a type of fraud. Unfortunately, and this is where many are finding their rage, the Office of Comptroller of the Currency actually encouraged banks to backdate. It actually and formally granted approval to banks for overdraft backdating. This means, naturally, there won’t be any type of criminal charges. For those who might have still be unclear on what role the CFPB would be playing, this is a prime example of why it’s so important in the financial sector. It most certainly tempers OCC, which has made more than a few questionable decisions over the years; after all, its priorities are with the banks first. CFPB’s only priority is the the consumer. Following yesterday’s ruling, a bank spokesperson, Ancel Martinez, said that the bank was pleased with this latest development while one of the plaintiff’s attorneys, Michael Sobol, remains convinced the legal team can get the damages reinstated once it goes back to lower court. “The misrepresentations found by the district court have been affirmed,” Sobol said. It’s interesting to note that the bank only begun its re-sorting a decade ago. At one time, it processed purchases and debits to accounts by starting with the smaller transactions, whether they were made with a debit card or traditional check. Indeed, it appears to have been a deliberate effort to up its profits. What are your thoughts? 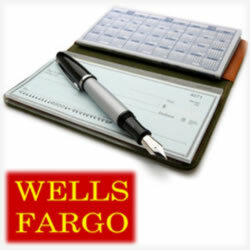 Time of Wells Fargo to pay up and learn to co-exist with new financial laws? Let us know what you’re thinking.